October is here and y’all know what that means: time for the Preservation Society’s Fall Tour of Homes. 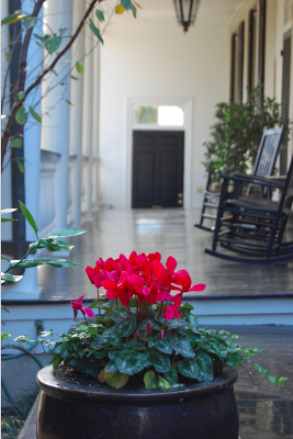 For the next four weeks, you have the opportunity to enter the private homes and gardens of some of Charleston’s most distinctive homes. A variety of properties will be featured during each tour, and you can choose from a number of categories. Are you into architecture? Check out the tours on the Charleston Single House or Colonial Charleston and the Walled City. 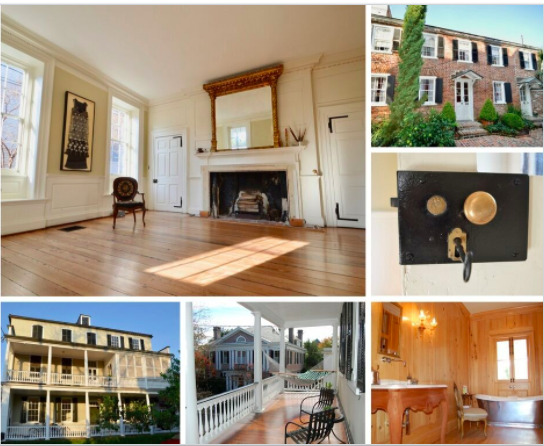 You have the opportunity to see some of Charleston’s best examples from Georgian to Colonial Revival styles. Interested in a particular street or neighborhood? You have 12 to choose from. If horticulture is your thing, you can enjoy some of the finest private gardens in the Historic District by taking advantage of two exclusive tours being offered. Want to get up close and personal with history? Experts will take you behind the scenes to learn more about the Charleston Renaissance, Preservation in Progress and an intimate look at the happenings in the Back of the House. 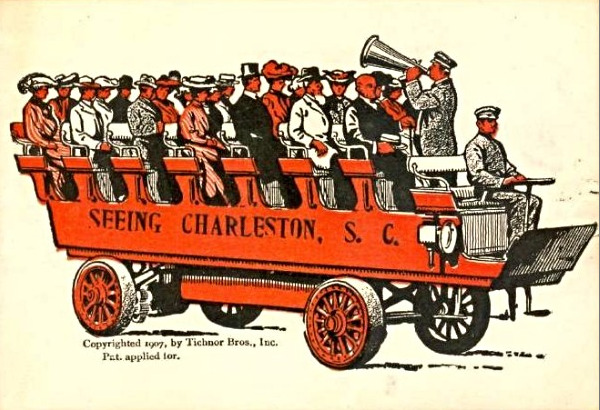 Touring Charleston originated in the city’s private dwellings, and the interest is as strong today as it ever was. If y’all haven’t been on any of these tours of home interiors before, they are quite different from anything else Charleston has to offer. Our very own Lois Lane is opening the doors to her stunning Georgian home on October 8th and October 21st. A bit of history... 28 Lamboll Street was built by merchant George Kincaid in 1777, a loyalist to the Crown. The stuccoed brick, three and one-half story building was originally the eastern half of a double tenement that was used as a primary residence as well as rental property until it was conveyed to Christopher Gustavas Memminger in 1880 for the sum of $2,500. Eighty years later in the fall of 2000, Lois purchased the home and its two-story kitchen house in the back of the property. 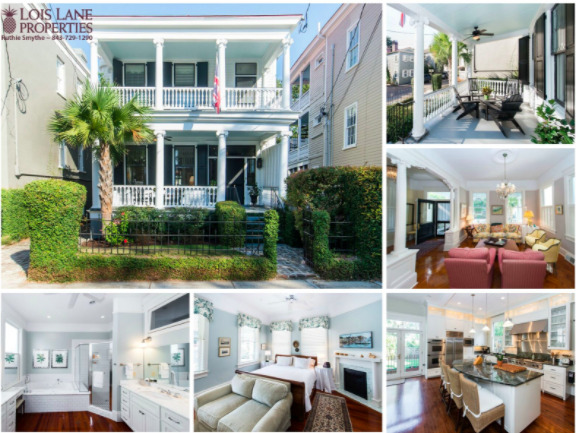 Today, this historic home is considered to be a traditional Charleston single house. The interiors are of the late Colonial period, with Georgian mantelpieces, decorative window cornices, wide floor planking, a two-tiered piazza and beautiful contemporary updates throughout. A real gem in the heart of the city! by M.B. Payne, in Images of America, Charleston, An Album from the Collection of the Charleston Museum. Ever the entrepreneur, Susan Pringle Frost opened her ancestral home for tours to help defray its maintenance and renovation costs. 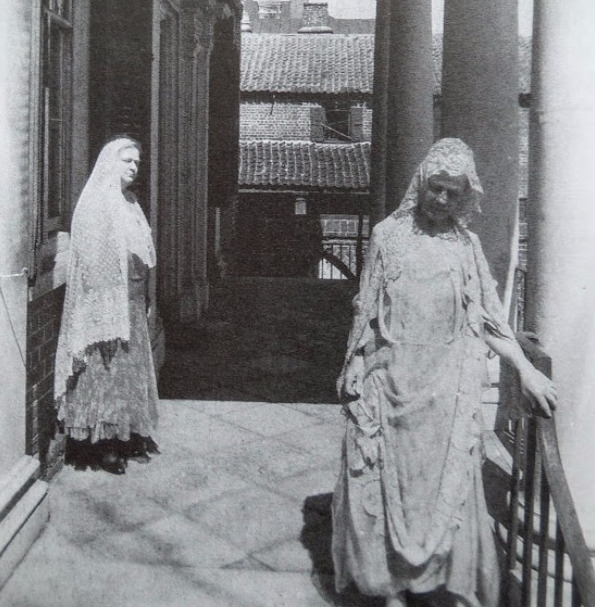 "Miss Sue" (left, above) and her sister Mary are shown in period dress on the portico of the “Old Pringle House” at 27 King Street to welcome guests to their afternoon event, “The Meaning of a House,” in the 1920s. The Frost sisters guided visitors through the mansionwith drama and passion, recounting in romantic detail family legends and the house’s history, which included serving as headquarters to invading armies in both the Revolutionary (1780) and Civil (1865) war. According to Jack Leland’s 62 Famous Houses of Charleston, South Carolina, while the house was occupied by the British, Rebecca Motte, its owner at the time, remained in the house and presided over meals while treating her unwelcomed military guests coldly. While the house was occupied, she hid her pretty daughters in the attic to keep them away from the eyes of the Yankee men; a secret, she thought. But, when the British commander took his leave of the mansion and bid his farewell, legend has it that he clearly rolled his eyes to the ceiling as he expressed his regret at not having been able to meet the rest of her family. Ha! 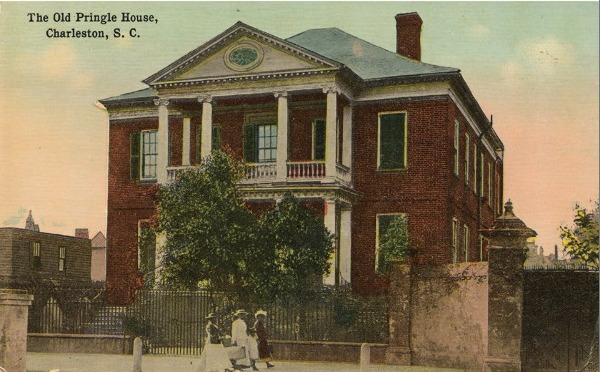 The house, now more commonly known as the Miles Brewton House, was built in “High Georgian” style in 1769 and was described by and architectural historian as “the supreme example of the Charleston double house and perhaps the finest of American town houses.” It has the rare distinction of having been continuously occupied by direct descendants of the original owner, to this day. So, you see, gaining access inside a historical Charleston residence was (and still is) alluring to many of Charleston’s visitors who wish to experience a more ‘authentic’ Charleston experience. “People coming to Charleston are perennially unsatisfied unless they are able to penetrate what seems to them the heart of Charleston life; that is, the interior of its homes,” said Charleston transplant and former Charleston Museum curator Laura Bragg. That was in the 1930s, but we suspect that today other transplants and even lifelong residents of Charleston still feel the need to peek, don’t you? Expanding its offerings to meet a variety of needs and interests, The Fall Tours now also offers guided walking tours featuring Charleston’s historic district as well as a tour specific to the famous Grimke Sisters and one exploring Charleston’s ironwork and blacksmiths. New to this year, Thursday luncheons at 82 Queen will feature speakers on topics including “Gullah Geechee Culture", "Charleston's Endearing Gardents, and "Charleston's Resilient Single House." Tickets are still available for the walking tours and luncheons; you can get them here. 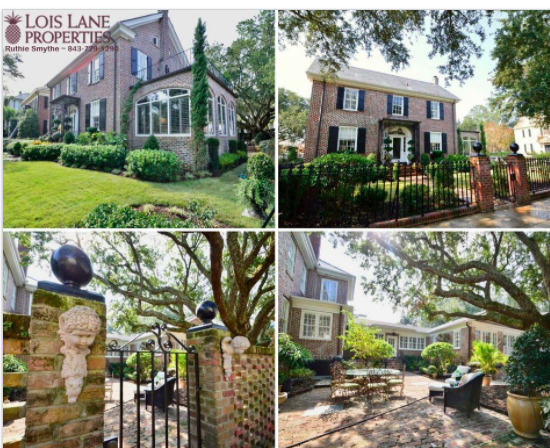 And if you are out and about, you can also check out these two beautiful homes listed for sale by Lois Lane Properties. 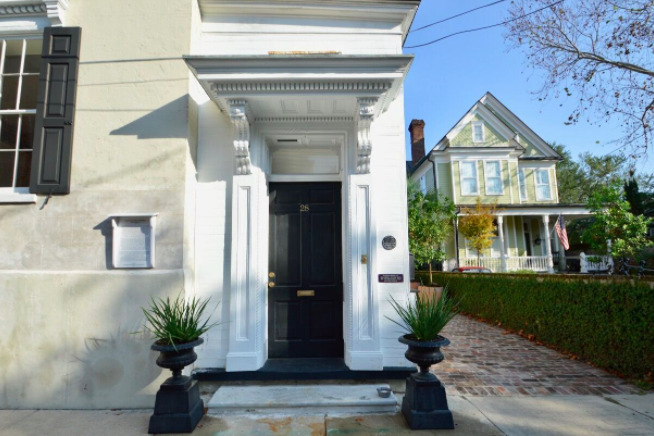 140 Tradd Street, was built in 1904 and is currently offered for sale by Ruthie Smythe. Give her a call at 843-729-1290. 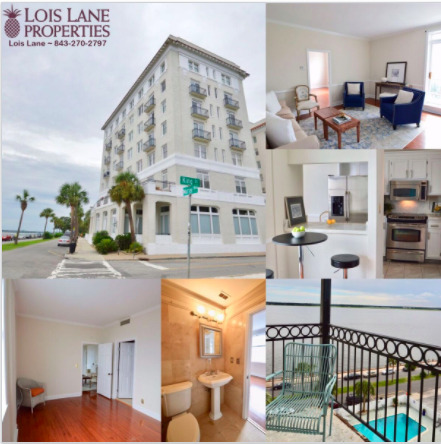 Just listed, 1 King Street,, located in the prestigious Fort Sumter House, is currently offered for sale by Lois Lane. Call her at 843-270-2797 for a showing.